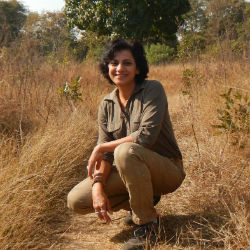 “One need not be a scientist or a biologist to be a saviour of wildlife or the environment – it only needs the will and the passion to do it,” believes Poonam Dhanwatey, Co-Founder of the Tiger Research and Conservation Trust (TRACT), part of Born Free’s Living with Tigers programme. Poonam should know. About 18 years ago, she quit a career in interior design to pursue her passion for tigers. 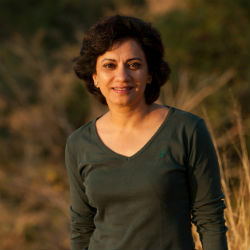 With her husband Harshawardhan, she set up TRACT to conserve wild tigers, their prey and habitat in central India. Since then, TRACT has worked closely with local communities in the forests of Satpuda to mitigate human-wildlife conflict and improve livelihoods. Key to their success has been involving local people so that they are the solution to conflict. Through this work, TRACT has trained leaders and more than 1,300 youths in 195 villages, as well as more than 500 forest personnel. It has also improved basic amenities in villages through initiatives such as building toilets and introducing bio-gas fuel for cooking. Not only do these initiatives improve livelihoods, they also reduce the need for villagers to enter the forest, therefore reducing conflict with tigers. This approach is working. According to TRACT, incidences of conflict have decreased in Satpuda, even though the tiger population is on the up. 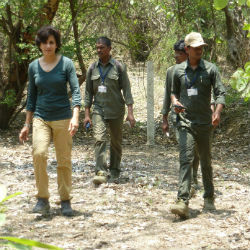 Poonam believes the positive changes TRACT has made in the forests of central India will continue well into the future. Her vision for wildlife 20 years from now is that a ‘social fence’ will surround Satpuda where people and wild animals co-exist peacefully.